Figure 1. The ecological network concept (reproduced from Lawton et al. 2010). Woodland Creation & Ecological Networks (the WrEN project) is a collaboration of academics, policy makers and practitioners interested in ecological restoration. We are using a natural experimental approach to ask questions about how to prioritise actions to restore ecological networks. Ultimately, we want to provide evidence to underpin future conservation efforts to create and enhance ecological networks for wildlife. ​The concept of ecological networks, and their focus on landscape-scale conservation, is seen by many as an effective response for biodiversity conservation in fragmented landscapes and is now a major policy driver within many countries. As a result, many conservation activities, such as habitat restoration and creation, are being targeted towards the establishment of ecological networks. These networks are typically conceptualised as a suite of core areas connected by buffer zones, corridors and smaller stepping stone patches that allow species or their propagules to move between them (Lawton et al., 2010; Figure 1). 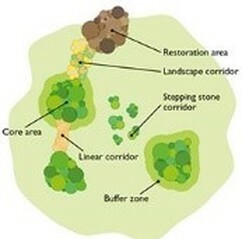 Although this is a very appealing concept, based on a number of sound scientific principles, there are limited empirical data on the relative importance of the different elements of ecological networks and hence much uncertainty on how to prioritise conservation actions - for example, is it more important to have bigger patches, or to ensure that patches are close together? ​Woodlands provide essential ecosystem services and support more wildlife species than any other habitat. Historic deforestation over much of Europe has drastically reduced woodland cover and much of it now consists of non-native plantations or small, isolated and degraded patches immersed in an agricultural matrix that dominates the landscape. 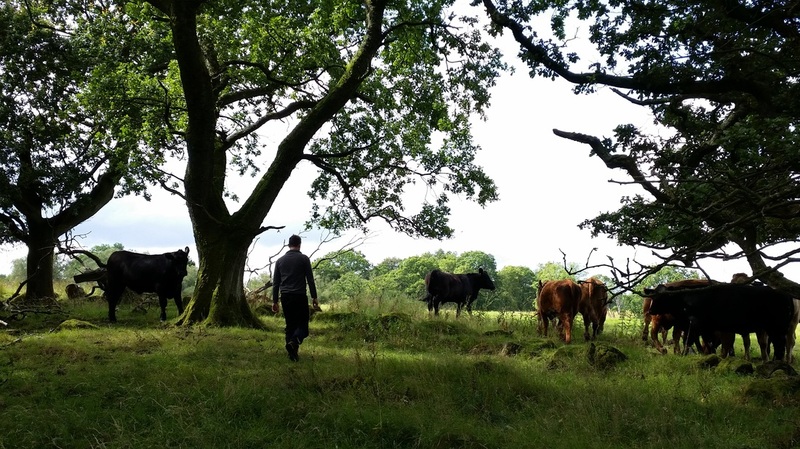 In the UK recent woodland creation schemes were introduced over 25 years ago and are contributing to the slow rise in woodland cover but we currently have little information on how these schemes are performing.